It's been excellent weather for a couple of days. I secretly enjoy Savasana between the classes. The sun is all mine! 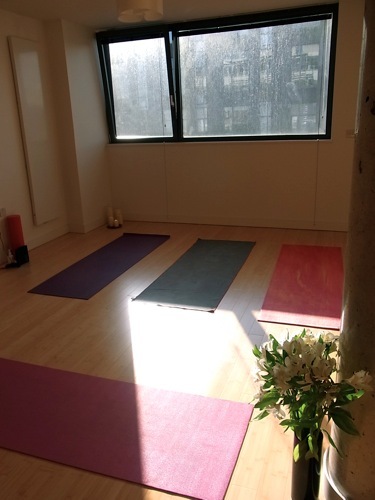 The sun salutations facing to the sun at the beginning, lying in the ocean of the light at the end of class... Does it sound appealing to you? If your answer is yes, great news here! You can enjoy it through all this summer in nùmero 6 studio. You will love it!! Timetable of April is updated. Check out the time and class then contact me at numero6info@gmail.com for booking your spot. The classes until the 3rd of April are also running on donation basis. Any of your donation will be appreciated. Half of your donation is going to The Special Yoga Centre. and the other half goes to Japanese Red Cross. So, see the new timetable for April here and I'm looking forward to seeing you soon. Thanks to my lovely yoga teacher, friend, Tammy from Canu yoga, we are organising the YOGA DAY for JAPAN @ Slanted Studios on Saturday the 16th of April . 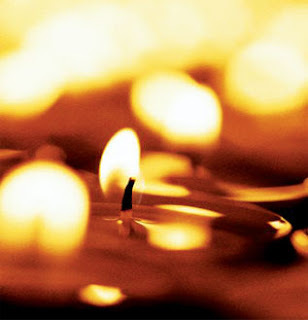 Join us for Yoga Sessions to raise funds in support for the victims of the Japanese Tsunami. A Day of hourly Yoga Classes, Talks, Tea & Cakes. You can join us for the full day, or just drop in for sessions. Donate what you can afford. Your support is greatly appreciated and all proceeds go to Red Cross Japan Tsunami Appeal. Details available in facebook page. Visit here. Thankfully we are already getting much interests and filling the spots very quickly. If you are considering taking part, book a spot asap. We are looking for someone who would be interested in holding a discussion on the day, maybe on what the relief effort can do, or experience from a japanese person... or if you have any ideas on what a good topic could be, let me know please. So It's been 5 days since the Earthquake and Tsunami happened in Japan. For my home country, my heart was broken into pieces for the whole weekend. But I've just started collecting my bits and bits. I believe when one rebuilds, it will be stronger. As a yoga practitioner, I focus on here and now. What do I do here and now? What I do is what I can do here in London. You probably know this already, I'm holding classes on donation basis in March and 50% of those going to The Special Yoga Centre. I decided that the other half of the donations nùmero 6 has received and will receive this month will go to the Japanese Red Cross' Japan Earthquake Tsunami Appeal. I have my body, place to live, water, food... and more and more. 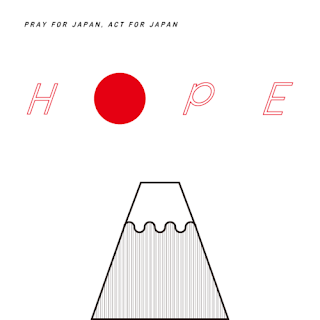 So I pray for Japan, and I send donation. The biggest earthquake on record hit north east Japan at 2:46 pm on February 11. The media has been reporting aftermath of tragedy and you all probably watched some images or videos. It is heartbreaking to check the news. As I feel the cold wind, my thought goes for the people who lost their houses and spending nights in snow. As I feel thirst, my thought goes for people who don't have access to water. As I reach food easily when I get hungry, my thought goes for people who are waiting for help with no food. I can't help to think of the people affected by this earthquake/ tsunami in everything I do. We usually don't think how grateful to be alive and to be able to meet loved ones. Everything can change in an instant. We should remember to cherish every moment of life. Please don't hesitate to give love and gratitude to your loved ones. Please realise once again that you are in grace. My prayers are with those who lost their lives, lost their loved ones, struggling with the sorrow and distress. I'm now thinking what I can do from here. I will organise something and will keep you updated so that you can take part. Also if you are kindly thinking to support the people in Japan, please remember they need sustainable help rather than temporary. I hope you also remember the quake in NZ happened last month too. They also need your support. All your help means a lot. And if you have friends or family in Japan and want to get more information, let me know. There must be more information in Japanese so I can help you. One of the most significant changes yoga will bring you is breathing. Breathing is subconscious activity most of the time. But can you remember how you breathe when you are calm and peaceful? Your breath is probably deep and steady. How about when you are upset? Maybe it's shallow and short breath. When you are tired? You might sigh out. Breathing in and out. One after another... This simple routine we have been doing every moment since the day we were born is a magical tool. What a great gift we all have! whoopeeee!! By yogic breathing technique, we can lift energy level, bring peace in mind, clear the thoughts, warm up/ cool down the body... and much more. Why don't you breathe deeply and long for few minutes? It will help you calming down or even will make you smile :)) Breathing is so much fun! Although I don't remember when and where I encounter these comments, these stuck in my mind to make me think again and again. "Keep practicing and be kind to yourself. Remember, even if you cannot do asanas, you are a wonderful person. It is not a big deal wether you get to do them or not." "It is more important to be a good person rather than being able to do difficult asanas. Asana itself doesn't fulfil your life." I think, the aim of yoga practice is what you do by using the awakened body and mind through yoga practice. You will lose the point if you get too absorbed in asanas. Practicing yoga is not only getting better in asanas, understanding sutras, or achieving the eight limbs, but it is beyond them. I think practicing yoga is just one of the tools or ways for how I want to live in this life. 'I want to live happily.' This is my fundamental wish I have after all. And this wish started to have a broader meaning after I started yoga. Once I went to a small piano concert in a small church, the pianist played a ravishing melody after he said "this is for my dearest friend couple who will get married soon." Maybe my true happiness is like this. I want to be like this pianist. Smily people make me happy, so I want to make people happy and smile. Living in yogic life style is purification of body, mind and spirit which helps me realise how I want to live. I don't need things. Actually I have way more than I need. Yoga strips off all the excess. We already have enough to live happily by making others happy. We share, that's more than enough. So I'd like to keep sharing my thoughts and activity through teaching yoga.